Home » Posts Tagged "junk cars queens"
Once upon a time in America, it wasn’t that easy to get rid of a junk car. Beginning in the early to mid-1900’s, Queens salvage yards began popping up across the city. To offload a junk car, most New Yorkers were forced to walk down to the business location to speak with the manager. The front desk person would write down your information into a scheduling book and set up a time for an inspection. Then they got to walk all the way back home. Days or weeks later, a salvage yard representative would make an appearance to inspect the vehicle and give the customer a low-ball scrap price for their car. Many times, junk yards charged customers to tow their cars away, eating at their bottom line. They could take the deal or leave it, but most took it just to avoid the hassle of getting a second quote. More than ¾ of a century later, times have changed. All it takes to make an appointment with Junk My Car Queens is a quick local phone call. A trained inspection professional will come to you and assess the value of your car. Running vehicles garner a fabulous price, but we still give top dollar paid for clunkers – way better than scrap prices! After giving you money in hand, we hook up and haul it off with no more worries on your part. Call Junk My Car Queens (New York City Auto Salvage and Glass) at 718-297-9797 to schedule an inspection and quote today. Like us on Facebook or follow us on Twitter to receive discount offers and read our customer feedback. Way too many people have old, unwanted cars sitting around and don’t know what to do to get rid of them. If you live in Queens you know better than anybody that a useless car is much more than just a little annoyance. This tremendous inconvenience can also be dangerous and expensive. If you have your unwanted car sitting by the side of the road you are taking up space and causing an obstacle for others in the neighborhood. Keeping up with a car that you don’t want can also cause you to spend a tremendous amount of money just to keep it running. Instead, junk your car in Queens, New York and get paid top dollar. Call New York Auto Salvage and Glass and let us take that old vehicle off your hands. You can get rid of a major frustration in your life and add some cash to your wallet, all with far less hassle than you could imagine. Cars that are more than eight years old are much more complicated and expensive to car for than newer vehicles. There’s no need for you to continue facing these huge maintenance, replacement and repair costs. Instead, you can junk your vehicle and get the entire process over far faster and more easily than if you were to try to sell it or trade it in at a dealership. Unlike with these options, you don’t need to be able to provide a registration or title. This means even if you bought the vehicle from a source that didn’t provide you with the official documentation, or you long-since lost these papers, we are still interested in purchasing your car at a premium price. All you need to provide us is a copy of your license to verify your identity and we will buy your car from you. 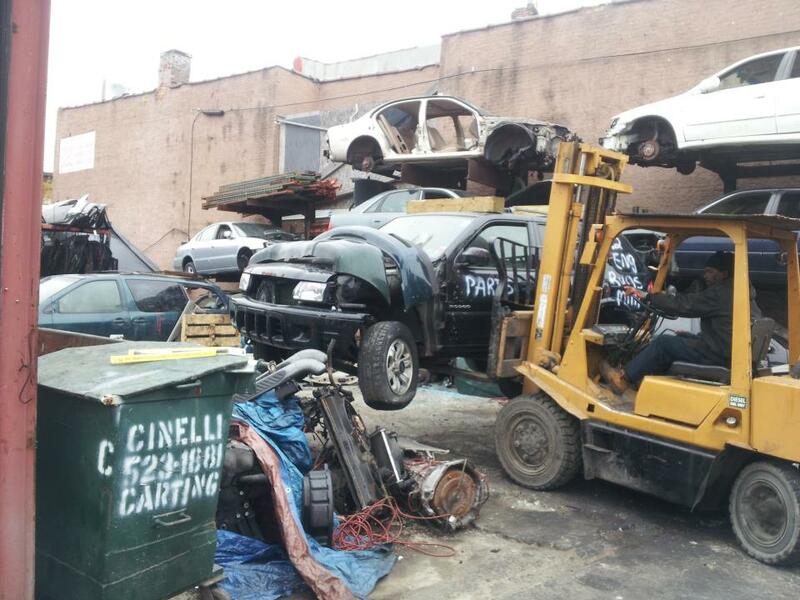 It is a truly simple process to junk your car in Queens. Just give us a call and let us know you have an old car you want to get rid of. We’ll ask you a few questions such as the make, model and year of your vehicle, and whether it runs. We’ll use this information to make you an offer. It is totally up to you whether you want to take the offer. If you accept it, we will come get your vehicle so you don’t even have to worry about dropping it off. Don’t worry if you feel like your car isn’t in good enough condition to interest anybody. We use older cars to salvage parts, so even if yours doesn’t run or is a bit banged up, we can still find value in it. Don’t hesitate to give us a call at 718-297-9797. New York Auto Salvage and Glass is here to make it easy to junk your car and move on with your summer. Find out what other customers have to say by Liking us on Facebook or following us on Twitter.